Ian, oh Ian! He is so precious and as cute as ever. 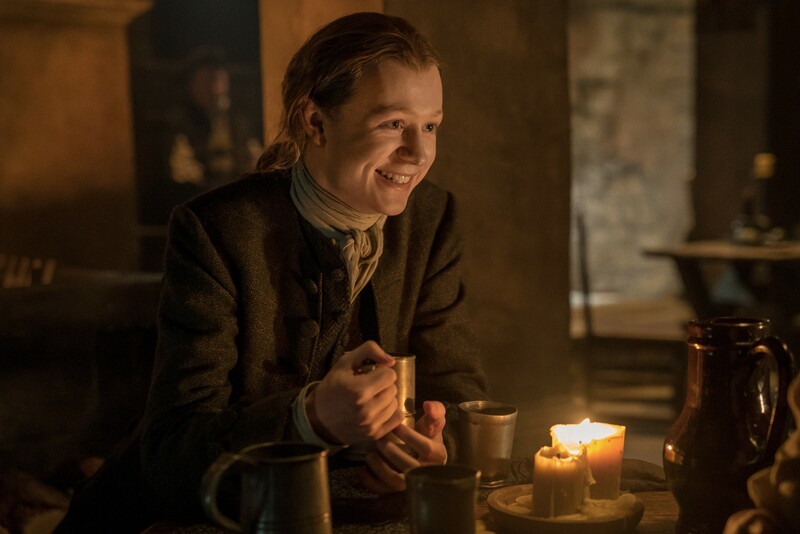 I love to hear him call Claire “Auntie,” He is going to be great in Season 4! I can just feel so, right now! A young man with a lot of acting experience behind him. I love his “Young Ian” – quite a charming personality and quite mischievous as well.. We’ll see a lot of him in Drums of Autumn. He was amazing in Voyager.